A new women's flyweight champion will be crowned at UFC 231 when Valentina Shevchenko faces Joanna Jedrzejczyk on Dec. 8 in Toronto. A new women’s flyweight champion will be crowned at UFC 231 when Valentina Shevchenko faces Joanna Jedrzejczyk on Dec. 8 in Toronto. UFC officials announced the pairing on Thursday night. Shevchenko will finally get the opportunity to battle for the 125-pound women’s title after her last bout against Nicco Montano was scrapped just a day away from UFC 228 after the former “Ultimate Fighter” winner was taken to the hospital after dealing with a brutal weight cut. Montano was later stripped of the title with Shevchenko then expected to face a new opponent to crown a champion. Now Shevchenko will face the former strawweight queen, who will make her long awaited move to the flyweight division after teasing the bump up to 125 pounds for quite some time. 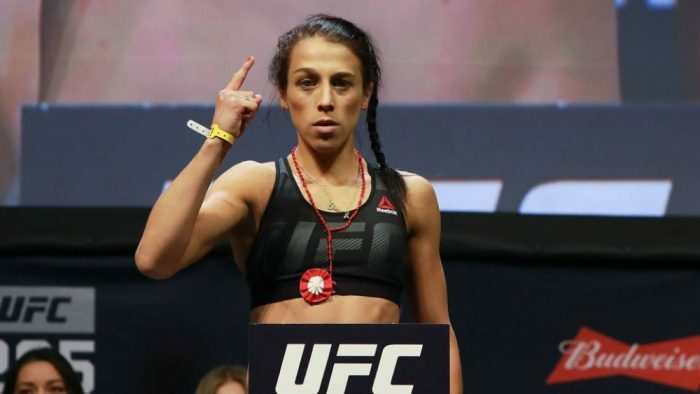 Jedrzejczyk is coming off a win over Tecia Torres in her most recent fight and had said that she was open to a matchup against Shevchenko to crown a new champion. The two fighters have plenty of shared history with Shevchenko holding multiple wins over Jedrzejczyk from Muay Thai competitions. Now they will meet at UFC 231 to determine a new women’s flyweight champion.